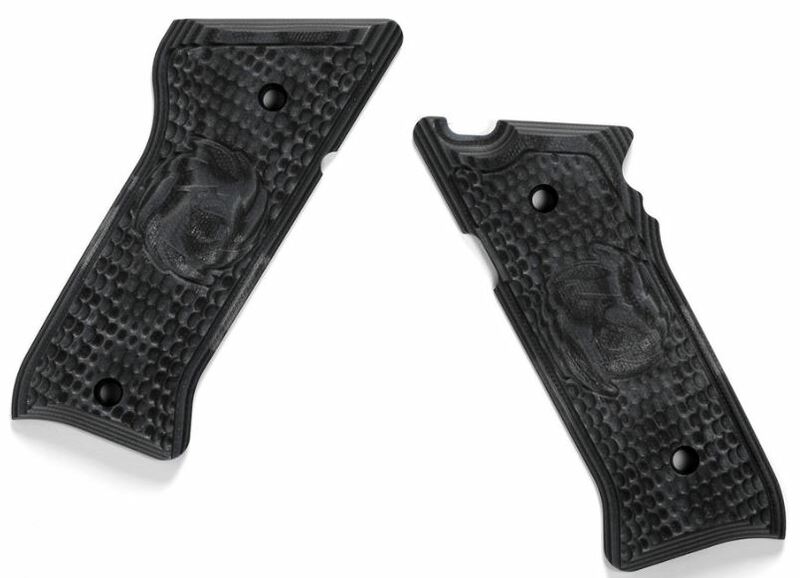 These G10 grips are manufactured by Hogue for Tactical Solutions and are precision machined from the highest quality G10 material available to exacting specifications. G10 is a high-pressure thermoset plastic laminate consisting of multiple layers of woven fiberglass mesh cloth impregnated with an epoxy resin binder. It can be produced with many layers of the same color, or different colors to achieve a specific cosmetic look. Typical G10 is made of only flat layers. Hogue Inc. has a new, patent-pending method of producing G10 material called G-Mascus�. This method produces different patterns within the colored material which produces a unique look. Grips made in this style take on a similar look to Damascus steel, hence the name G-Mascus. The G10 grips are designed for a lifetime of use.